Our patrons are experts in global health who have pledged to support Students for Global Health by offering informal advice and mentoring to the network, speaking at key events and conferences, and publicising us in their day to day work. We currently have four patrons – see below for more information about them and their work. 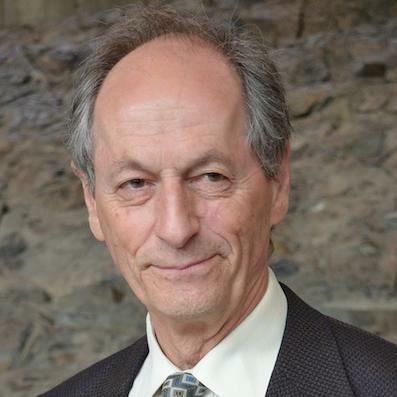 Professor Sir Michael Marmot is currently Director of the Institute of Health Equity and MRC Research Professor in Epidemiology at University College London. He has led a research group on health inequalities for the past 30 years. A former President of the World Medical Association, he has been invited by the Regional Director of WHO Euro to conduct a European review of health inequalities. At the request of the British Government, he previously conducted a review of health inequalities, which published its report ‘Fair Society, Healthy Lives’ in February 2010. He was Chair of the Commission on Social Determinants of Health set up by the World Health Organization in 2005. He is Principal Investigator of the Whitehall Studies of British civil servants, investigating explanations for the striking inverse social gradient in morbidity and mortality. He leads the English Longitudinal Study of Ageing (ELSA) and is engaged in several international research efforts on the social determinants of health. He chaired the Department of Health Scientific Reference Group on tackling health inequalities. Nigel Crisp is an independent crossbench member of the House of Lords and works mainly on international development and global health. From 2000 to 2006, he was both Chief Executive of the NHS, the largest health organisation in the world, and Permanent Secretary of the UK Department of Health and led major reforms in the English health system. He has a particular interest in human resources and partnerships. In 2007 he co-chaired an international Task Force on increasing the education and training of health workers globally with Commissioner Bience Gawanas of the African Union. Its report, Scaling up, Saving Lives, sets out practical ways to increase the training of health workers in developing countries. Nigel Crisp chairs Sightsavers International and is a Senior Fellow at the Institute for Healthcare Improvement, a Distinguished Visiting Fellow at the Harvard School of Public Health and an Honorary Professor at the London School of Hygiene and Tropical Medicine and has many other affiliations. A Cambridge philosophy graduate, he worked in community development and industry before joining the NHS in 1986. He has worked in mental health as well as acute services and was from 1993 to 1997 the Chief Executive of the Oxford Radcliffe Hospital NHS Trust, one of the UK’s leading academic medical centres. Andy Haines was Dean (subsequently Director) of the London School of Hygiene & Tropical Medicine between 2001-2010. In that role, he was responsible for the management of over 1000 staff and 3700 postgraduate students. He is currently Professor of Public Health and Primary Care at LSHTM. He was previously an inner city GP in London and Professor of Primary Health Care at UCL. His international experience includes working in Jamaica, Nepal, Canada and the USA. His publications and research interests cover topics such as climate change and health, sustainable urban development, food systems, and various aspects of globa l health policy. He has been a member of many national and international committees including the UN Intergovernmental Panel on Climate Change, the WHO Advisory Committee on Health Research and the MRC Strategy Board. He chaired the Rockefeller Foundation Lancet Commission on Planetary Health which reported in 2015 and also the Tropical Health Education Trust until 2016. Professor Haines currently chairs the Research Strategy Committees of Marie Curie and of the Multiple Sclerosis Society and is a member of the Rockefeller Foundation Council on the Economics of Planetary Health and of the Scientific Advisory Panel of the Climate and Clean Air Coalition. He has spoken at a number of Students for Global Health conferences and has been a Patron for 5 years. 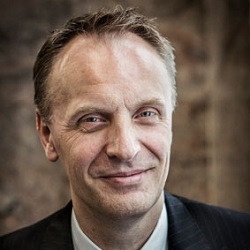 Richard Horton qualified in medicine from the University of Birmingham in 1986. He completed his general medical training in Birmingham before moving to the liver unit at the Royal Free Hospital. In 1990, he joined the Lancet as an assistant editor and moved to New York as North American Editor in 1993. Two years later he returned to the UK to become Editor-in-Chief. He was the first President of the World Association of Medical Editors and is presently a member of the International Committee on Medical Journal Editors. He is an honorary professor at the LSHTM and a Founder Fellow of the Academy of Medical Sciences. His book about controversies in modern medicine, Second Opinion, was published in 2003. Richard has spoken at numerous Students for Global Health events including the Global Health Conference (GHC) 2006, the GHC 2007 and the IFMSA August Meeting 2007 in Canterbury.